Even more art supply labels! 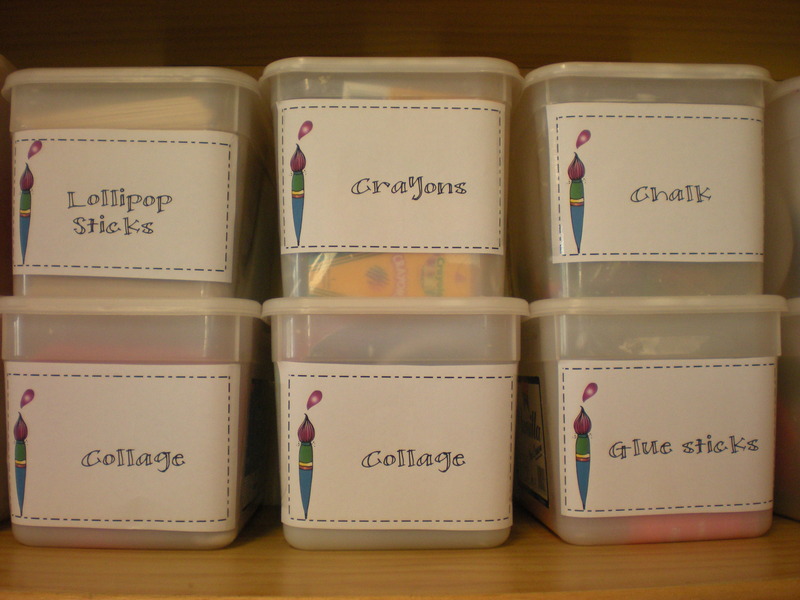 I thought that perhaps you might like to see a photo of my art supply labels in use. It think that they are cute? What do you think? Having the label customized with the paint brush helps to ensure that the box goes back in the right place at the end of the day. You don’t even have to read the label as the paint brush tells you that it is an art supply! 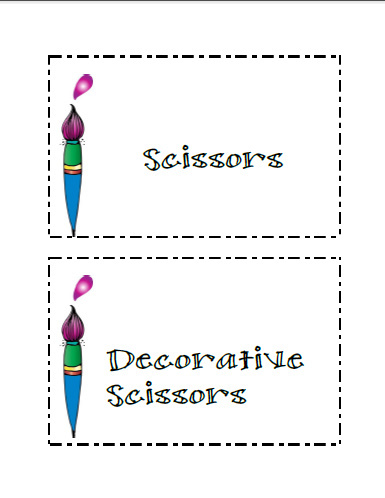 I have also added even more labels: scissors, decorative scissors, marbling, print, clay, and Halloween.